A large chunk of space supply will be outside the central region. 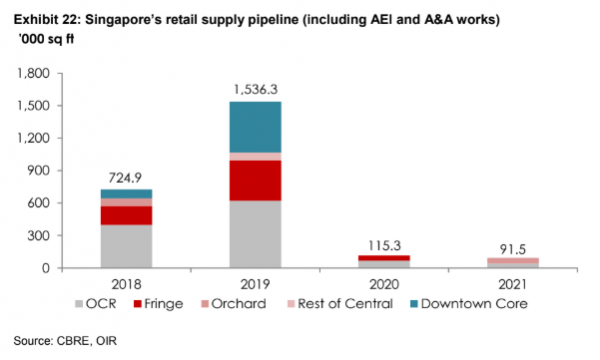 This chart from OCBC Investment Research with data from CBRE shows that retail space supply will be the highest in 2019 compared to 2018, 2020, and 2021 as supply could reach about 1.54 million sqft. A large chunk of this supply will be outside the central region. 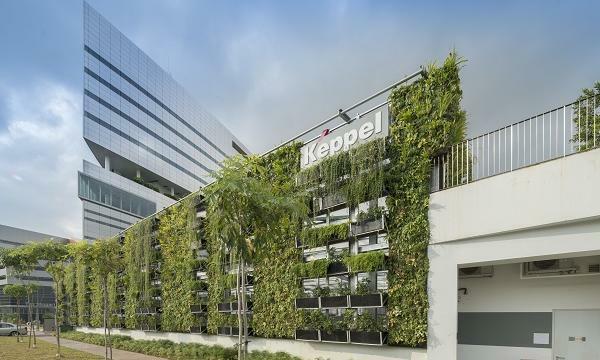 “For 2019, key completions include Jewel Changi Airport (~576k sq ft), Paya Lebar Quarter (~340k sq ft), and Funan redevelopment (~325k sq ft),” OIR said. Also read: Should incumbent malls be threatened by Jewel Changi and Funan in 2019? Meanwhile, the research firm thinks that supply pressures in retail space could significantly taper off by 2020 and 2021. In those consecutive years, approximately 115,300 sqft and 91,500 sqft will be left, with no space left in the rest of the central region as well as in the downtown core.